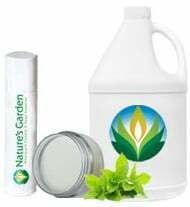 Natures Garden's Natural Yogurt Multi Lotion Base: Now you can create multiple natural lotion based products by simply adding distilled water! Create products like face cream, body lotion, body frosting, body mousse, body butter, massage lotion, and spray lotion mist all from this one base!! Natural Yogurt Multi Lotion Base Ingredients: Distilled water, sunflower oil, soya oil, vegetable glycerin, stearic acid, cetyl alcohol, emulsifying wax, palmitic acid, tocopherol (vitamin E), potassium sorbate, meadowfoam oil, jojoba oil, yogurt, aloe vera, vitamin C, citric acid, Germall Plus. 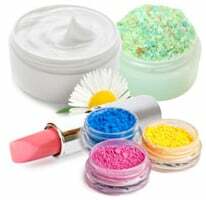 Making natural creams and lotions could not be easier or more affordable! Create up to 6 different products simply by adding warm distilled or deionized water! Our multi-use cream base can also be colored with soap coloring, and fragranced with Natures Garden's Body safe fragrances. When using fragrances in the multi-cream, we suggest using 1-3% fragrance in your finished product. Custom create up to 6 different products simply by adding warm distilled or deionized water! PH balanced, fully saturated, not prone to rancidity. Multi-Use Cream base is easily emulsified in warm distilled water. It yields stable emulsions with a light texture, showing a very good emolliency without any greasy after-feel. Being fully saturated, it is not prone to rancidity. Simply disperse our Multi-use cream base in warm water, add fragrance and any special ingredient if desired. As it can emulsify up to 2% of additional oily components, more elaborated skin care products can be easily produced with Multi-use cream base. No Ph adjustment is required. Makes 6 different products. (1) To make heavy cream, add 16 oz. water per 1 pound of cream. (2) To make a light cream, add 32 oz. water per 1 pound of cream. (3) To make lotion, add 48 oz. water per pound of cream. (4) To make light lotion, add 64 oz. water per 1 pound water. (5) To make Body Milk, add 96 oz. water per pound of cream. (6) To make Body Mist, add 128 oz. water per 1 pound of cream. Note: Body mist will be milky in color. Please Note: Multi base cream contains 1% germall plus perservative. According to the chemist who helped to create and patent Germall Plus, the recommended percent of Germall Plus in cosmetic products is .1 to .2% to effectively preserve the cosmetic product (considering that sanitary measures are taken when making your products). Germall Plus has also been scientifically proven in lab tests to show no adverse skin irritations when using up to 5% of Germall Plus in cosmetic products. 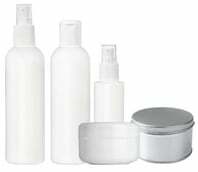 When diluting the multi base to create your cosmetic products, it is important that you have a sanitary work environment. The percent of Germall Plus in our multi base is effective for the dilution rates we discuss. Some customers desire to add extra Germall Plus to the lotion spray, but according to the chemist, the recommended percent is only .1 to .2%. IMPORTANT: We have been receiving many questions about using distilled water in our multi bases. In our recipes, we are assuming that you are using warm distilled water in these recipes, since this is what we say is the type of water you should be using. If you are not sure if your water is indeed distilled, then follow these instructions carefully: Heat your distilled water to 185F and keep it at that temperature for at least 5 minutes. BEFORE YOU USE THIS WATER, you must make absolutely sure that it is not added to our multi bases at temperatures above 120F (which is considered HOT water). In fact, water that is 100-105 is a perfect temperature to add this water to our bases. If your water temperature is above 120F when added to our multi bases, it will begin breaking down the Germall Plus (the antimicrobial agent in these bases). Therefore, using HOT distilled water could break down the Germall Plus, and the base would then be prone to bacterial growth. 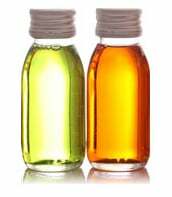 Fragrance oil is composed of many ingredients, other than just vanilla components, that may discolor our bath and body bases. We suggest testing each fragrance in our bases in small sizes. 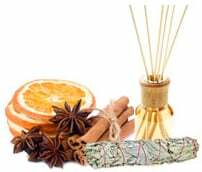 If our fragrances discolor, thin, or separate in any of our bases, we are not responsible for any finished products you produce with our raw ingredients/bases. In the event that you see that a fragrance contains vanilla components, and it discolors your finished product, we suggest using vanilla white to reduce the chances of your finished product from discoloring. We do not guarantee that vanilla white will prevent finished products from becoming discolored due to the many fragrance components other than vanilla that can cause discoloring. Also, vanilla white will not correct discoloring that has already occurred; it simply helps to prevent discoloration due to vanilla ingredients in fragrances from happening. 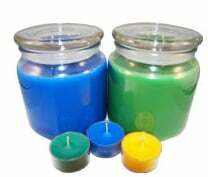 Natures Garden Candle Supply is not responsible for products you create from our bases. Tubs of multi-base will weigh between 15 and 16 oz. each. We do not guarantee that exactly 16 oz. of this product is contained in each tub, but it will be very close to that amount. Purchasing this can earn you up to 125.82 ($1.26) or more rewards points! I love the consistency of this lotion as a light cream ,goes on smooth and feels amazing. This base also takse scent well. I have only had compliments on all the lotion products i have purchased from NG! This yogurt base is wonderful for both lotion and body sprays. It is also great for creating my night creams. My customers use this and say their skin glows. I highly recommend this multi product lotion base as an addition to your lotion supplies. OMG! I love this lotion base! I use it for creams, lotions, body milk, and even a body spray. It is by far my favorite product from Natures Garden and really from any other supplier. This is an item I have in stock at all times. This is one of my first purchases from Nature's Garden and I'm beyond happy with this base. I've used it to make body cream and it's perfect. Very easy directions to follow and I will continue to purchase this item. Great to use unscented straight out of the can for dry and cracked heels, and men like it as an alternative to a popular over the counter brand for split fingertips and dry weathered hands from working outdoors in the colder weather. Thin it a tiny bit and whip it with some favorite oils and you've got a great body butter for the ladies. Melts right in and not greasy at all. It's an amazingly versatile product. I've been using this base for several years and thought it about time I did a Review. I love it and so do my Clients. I haven't tried the other bases so have nothing to compare. I also haven't worked the variations of this product except as a med-thick lotion. It takes FOs very well, after some time if the FO has vanilla the base will turn varying shades darker. I do color it, typically with mica so the color only deepens. Compared to lotion bases, I'd much prefer this as it maintains its integrity and doesn't break down becoming watery, for which I'm grateful. So all in all, thank you NG for providing a fabulous, silky, thick rich body conditioning base that soaks in rapidly leaves skin super smooth and soft and is so darn versatile and fun! Please don't discontinue this base - Ever! I have been using this base for several years now and have never been disappointed. I have tried a lot of bases over the years - even bought this one from other suppliers but then it disappeared. I was pretty relieved to find it again here at Nature's Garden and have been very happy with the new all natural formulation. this base is awesome! I had also tried the goats milk base and loved it, but this stuff is heavenly. I used it to make some baby lotion for my baby niece and my soon to be here grandbaby. I love the baby powder scent and thats what I fragranced it with. love it! its great! This base is amazing! I use it in several of my lotions. It's my favorite and customers LOVE it!